TED, the conference dedicated to “Ideas Worth Spreading,” took a step forward in its educational mission today by launching a TEDEd video channel on YouTube. Shorter than the 18-minute TED talks that have racked up 500 million views, these videos feature a combination of talking heads from TED stages and animation (artwork by Fast Company Most Creative Person Sunni Brown, among others) tackling topics like neuroscience and evolution for a high-school-aged audience. 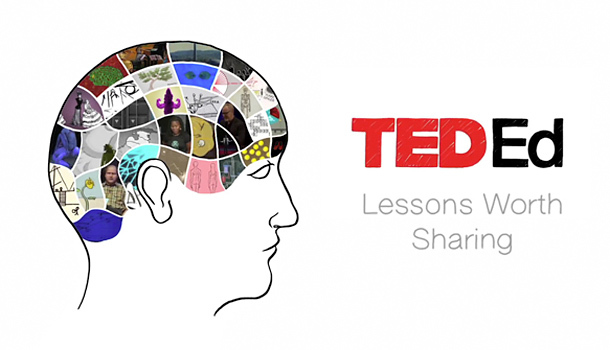 The channel allows viewers to nominate teachers they know to create their own TEDEd videos with production and distribution support from TED. Here’s a new video explaining progress on TedEd. The TEDEd initiative was announced to great fanfare at last year’s TED, where Sal Khan of Khan Academy also spoke. Khan’s online library of 3000+ short videos, combined with an adaptive learning platform, is enabling math and science teachers nationwide to “flip the classroom,” asking students to watch the lectures at home while spending precious class time on personalized interactions. TEDEd’s starter set of videos are another step forward in the death of the traditional lecture, with TED’s trademark high production values. On the press call Chris Anderson, TED’s curator, hinted at some interactive tools to come next month. In the meantime, teachers will no doubt continue to talk amongst themselves about the best ways to use TED videos in the classroom.